We want you to have the best-fitting costume possible. To help you pick the best size we have compiled the below list of measurements. So how do you know which set of costume sizes corresponds to the one you would like to buy? The answer lies in the first few characters of the Product Code. Simply note the product code of the item of interest and match the first couple of letters to one of the headings below. N.B. If you can’t find the corresponding size chart, you can refer loosely to the sizing charts provided. For Transformers, Doctor Who, Teletubbies and other Disney costumes please use the UK size chart. For all other costumes please use the USA size chart. 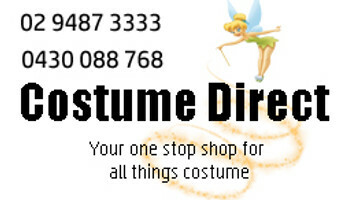 Product Codes beginning with: MHMeasurements are for the person to be wearing the costume, not the costume itself.